This Millionaire Pie Recipe is prized by the summer cook who doesn't want to heat up the kitchen. 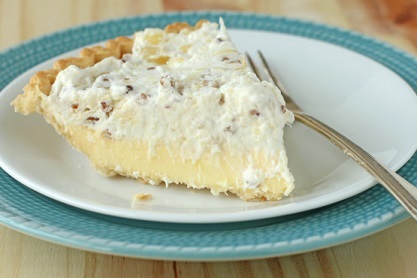 This pie recipe allows you to make a wonderful no bake dessert. No need to use the oven and add to the summertime heat. One taste and you'll understand how it got its name! The only cooking involved is for the crust, but you can avoid that, too, by purchasing a pre-made graham cracker pie crust, although yours would be better! This Millionaire Pie is delicious any time. It is light, rich and creamy. 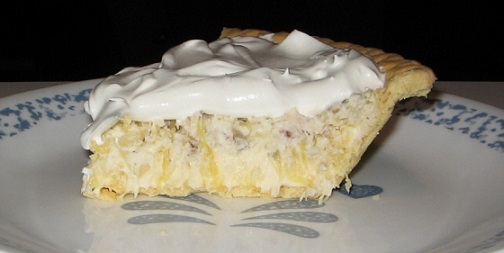 You can make the filling the night before and place it in the pie shell just before serving, if you desire. That's it! Very simple, but a simply delicious no bake restaurant dessert recipe. 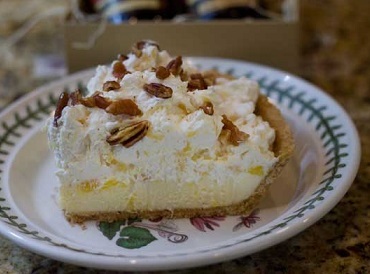 Enjoy your Millionaire Pie and the company of those you share it with! "You can't tell a millionaire's son from a billionaire's."